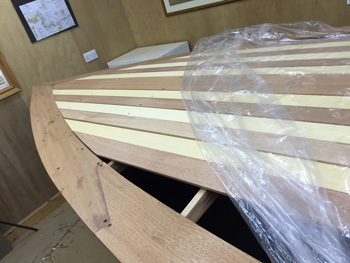 The first job this month was to bond on the outer deck boards, a process that took most of the day. 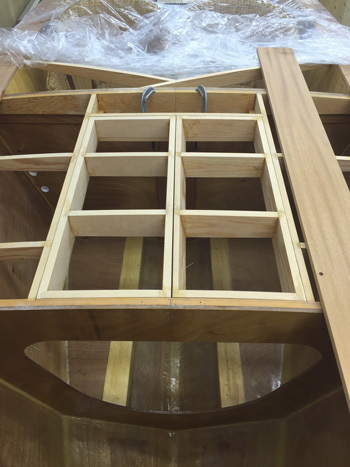 I also started the starboard side hatch frame, which lines up nicely with the port version. With the outer deck boards fitted I could start the main deck boards. The rear is the most straightforward so I started there. 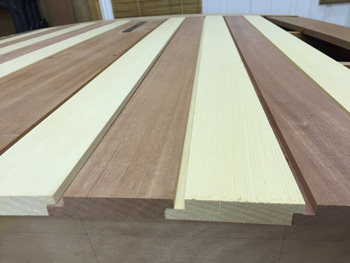 The only difficult trims are the two edge boards. With the rear complete I could move to the front deck. 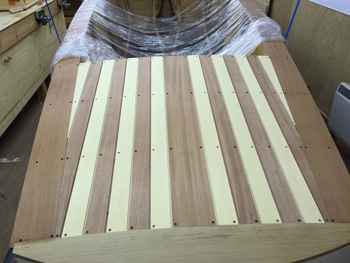 This is how the deck boards are machined so they over lock and each one holds down the next. This reduces the number of screws required.